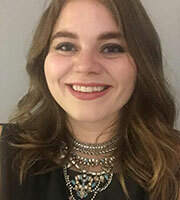 Sinclair Broadcast Group chief political analyst Boris Epshteyn is helping a Republican congressional candidate fundraise -- and she’s running against a Sinclair critic. On July 12, Epshteyn tweeted criticism of Rep. Jerrold Nadler (D-NY)’s opening statement in the congressional hearing with FBI agent Peter Strzok, in which Nadler mentioned the ongoing family separation crisis at the Mexican border caused by Trump administration policies. 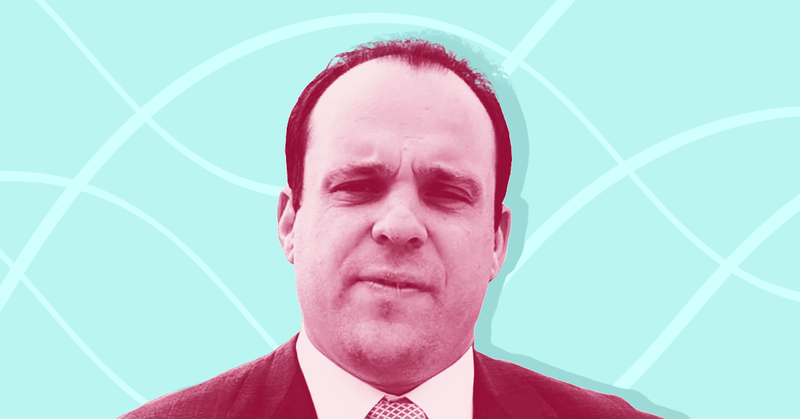 In his criticism, Epshteyn also tagged Nadler’s Republican challenger in the 2018 midterm elections, Naomi Levin. 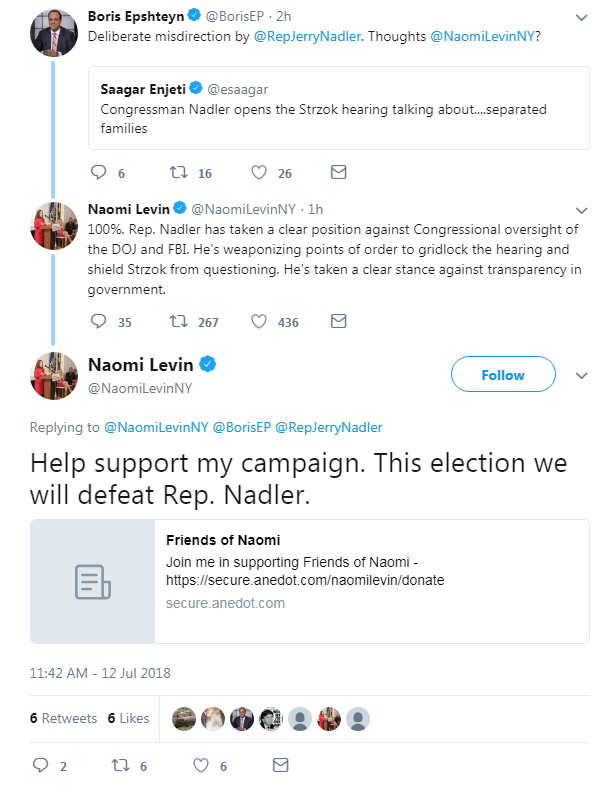 Levin responded to the tweet with more criticism of Nadler and then shared a link to a donation page for her campaign -- and Epshteyn retweeted the link to his nearly 32,000 followers. Nadler has previously criticized Sinclair, signing onto a letter to Sinclair CEO Chris Ripley last fall demanding more information about the company’s pending acquisition of Tribune Media. Nadler was also one of 85 lawmakers who called for a Federal Communications Commission (FCC) investigation of Sinclair in 2004, when the broadcasting group planned to mandate that its stations air an anti-John Kerry documentary shortly before the presidential election. The acquisition, should it be approved by the Trump Department of Justice and FCC, would bring a Sinclair station (WPIX, which it is poised to buy from Tribune) to Nadler’s district, which covers parts of New York City, for the first time.